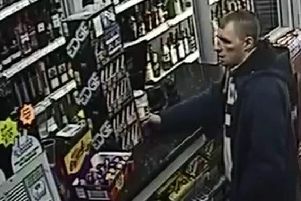 A CCTV image has been released of a man wanted over a burglary in Rotherham. Detectives believe the man could hold vital information about a burglary in The Lanes, East Dene, at 3.15am on Monday, March 12. A South Yorkshire Police spokesman said: "Persons unknown are reported to have removed CCTV cameras from the outside of a property in The Lanes, Rotherham. "Officers believe the person pictured could hold helpful information and are appealing for anyone with information can get in touch." Call 101 and quote crime reference number 14/41579/18.